My son, L.J. and I recently had the opportunity to experience this wonderland of pork up close and in a number of different ways. We flew to Madrid, where we met up with my good friend, “Mr. Spain,” also known as Gerry Dawes. 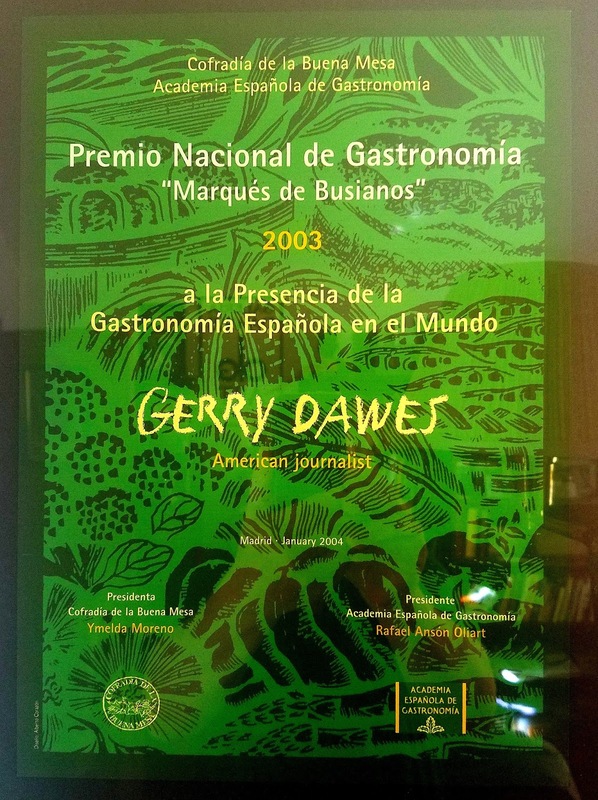 I have been in awe of Gerry’s knowledge of Spain, its foodways, its wines, its culture and its people for some time and both my son and I have experienced first hand in Madrid, his exceptional range of contacts and knowledge. L.J. 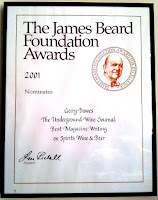 had also had the good fortune to have accompanied Gerry this past spring on a trip that encompassed parts of Catalunya and across northern Spain into Galicia on a wine-tasting expedition. 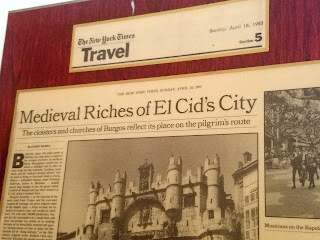 Arriving early in the morning on an overnight flight from JFK, we took an inexpensive hotel room for a quick nap, shower and breakfast before meeting Gerry and picking up our rental car to head out to the nearby and beautiful city of Segovia, where several treats were awaiting us. We had an appointment to visit one of the very best, Arturo Sanchez, at their production facility. We saw the production of lomo and jamones Ibericos de Bellota from the earliest post-mortem stages through consumption with the father-son team of Arturo and Ricardo Sanchez leading our personal tour and tasting. 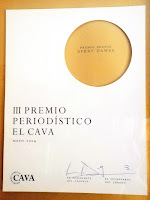 The products were sublime with the jamon, in particular, somehow becoming more and more delicious with each bite. 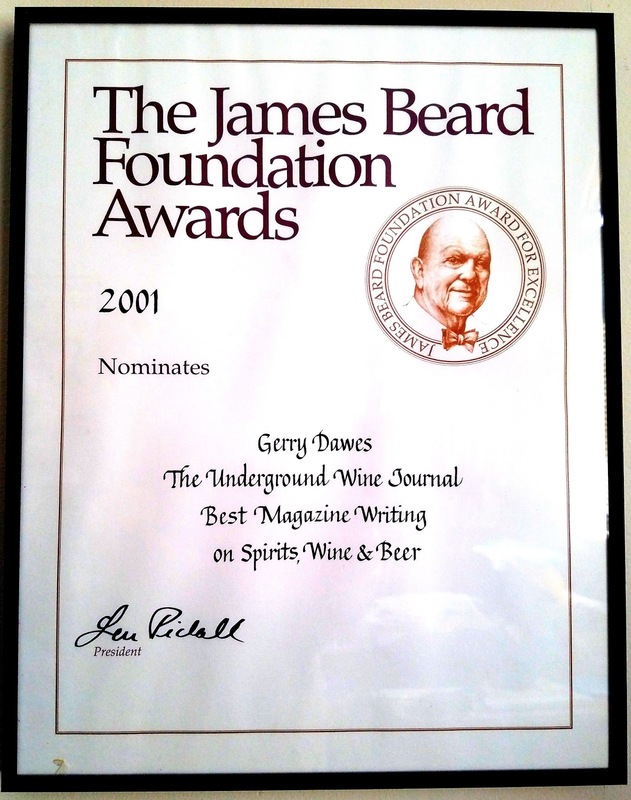 It was a truly unique and special experience, from which much more will come to this blog. Most connoisseurs know it to be one of the finest food products of any kind in the world, let alone the greatest of hams. Jamón Ibérico de Bellota, as it is known, comes from southwestern Spain, primarily from the regions of Extremadura and Andalucia, but with a number of great jamónes made in Castilla y León, using Ibérico pigs raised in Andalucia. This winter, my son, L.J. 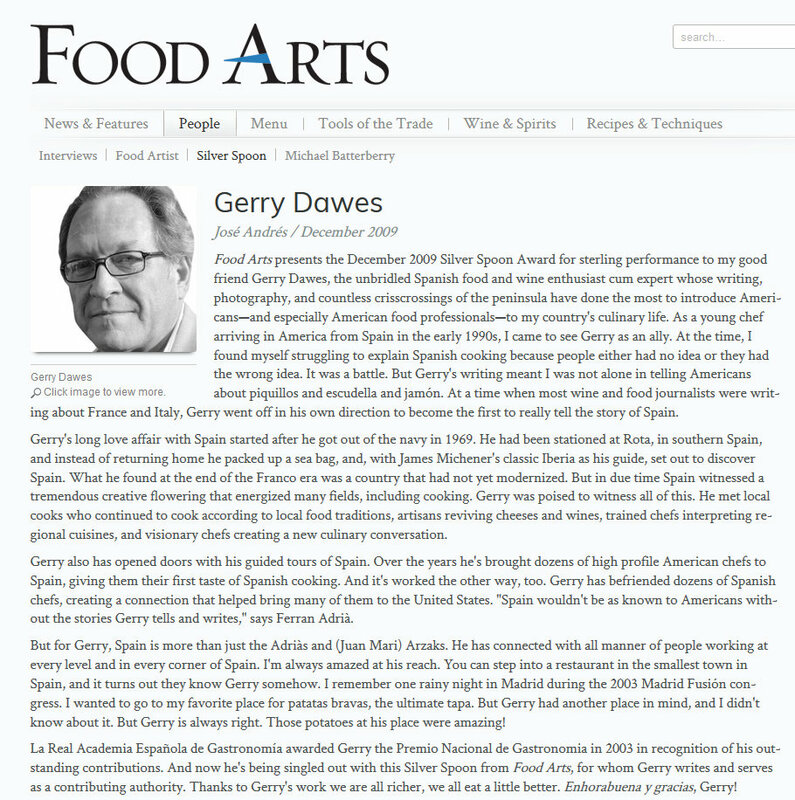 Sconzo and I joined our good friend and Spanish culinary expert, Gerry Dawes, on a tour of these regions to see, sample and fully experience as much as we could about this fantastic product. 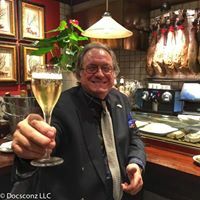 In previous posts, I highlighted the special diet of these special pigs in the oaken dehesas of southwestern Spain and then the process by which they are slaughtered and butchered. Here, I will relay the process of how these extraordinary hams and embutidos are made. After our tour, we were directed to an even smaller nearby town to find a restaurant that served their product. The restaurant, called El Camino, served us both cured and fresh products from that facility. It was a welcoming place in the middle of the country and their dishes were quite delicious. From there, we entered a long drive down to Sanlúcar de Barrameda along the Quadalquivir River and the Atlantic Ocean in southern Andalucia, where we would have a brief respite from porcine products. This respite came in the name of Casa Bigote, a renowned seafood restaurant that serves nothing but locally fished seafood. Atmospheric to the extreme, we engaged in a fine tasting of the local specialties, which in addition to a variety creatures from the ocean, included a number of excellent local Manzanilla sherries that left us all in a happy and laughing mood. We had one more day of pig ahead of us, but we had to get up and out early to do it. We left Sanlucar after breakfast driving east into a bright sun. We made our way up past Sevilla, then through Córdoba and into the hills and dehesa of Los Pedroches, a D.O. in northern Andalucia. 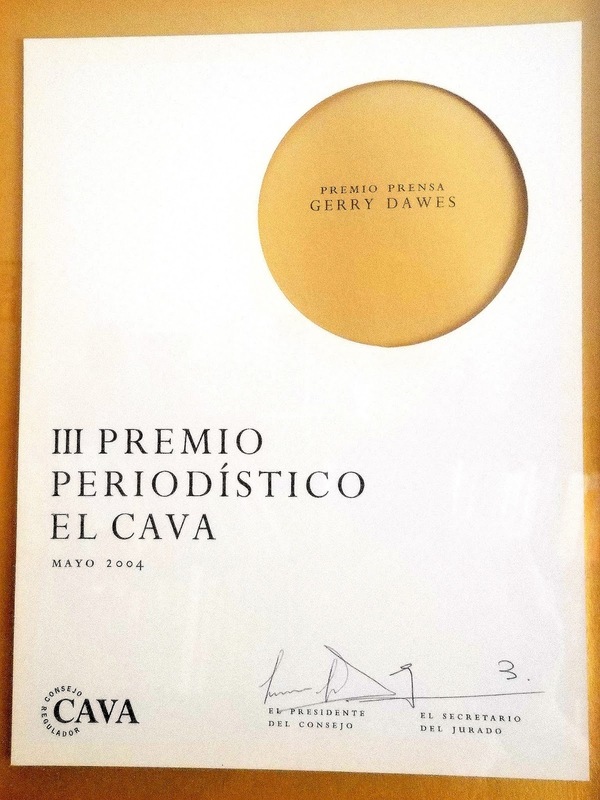 It is a small D.O., but there is a lot of land devoted to the dehesa and a high concentration of pure Iberian pigs.